Project Nintendo Switch gameplay to just about any surface! Now to make this work, we did repurposed the electronics from the official dock. So we’ll need to do a proper tear down which is actually pretty fun and easy. 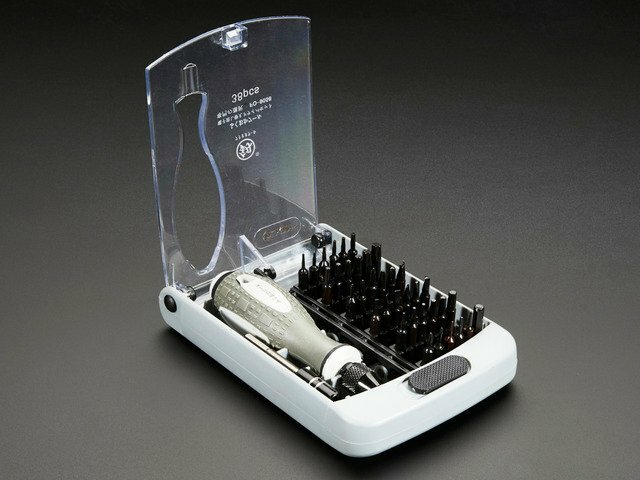 To get inside the dock, we’ll need a special Tri-Wing screwdriver which was included our 38- piece screwdriver set. We’ll need to remove a handful of screws found behind the latching panel. Use the Y3 Triwing screwdriver bit found in the 38-piece screwdriver set. Remove the eight triwing screws and set them aside. You can store them for use in another project. Once removed, you can easily lift half of the shell to reveal the main circuit board. Before we take it out, you’ll want to disconnect the main ribbon cable by releasing the latch and carefully pulling it out. Use a tweezer to help wiggle the two tabs out of the slots on each side of the ribbon cable. Then we can remove the board by freeing it from the clips. Be careful not to pull it all the way out because we’ll need to disconnect this JST cable from the board. 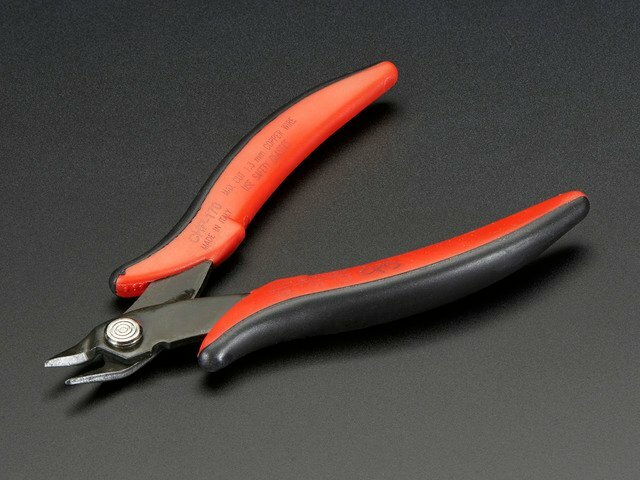 Use flat pliers or tweezers to help loosen the JST connector. Careful not to grip the JST too tight as the plastic is fairly thin and can deform. Wiggle the JST from side to side as you gently pull it out of the connector. And with that, we’ve liberated the board from its dark injection molded prison. Next, we’ll need to remove these additional screws to get to the USB-C Connector. This guy is sandwiched in between the two halves of the enclosure. We’ll need to switch from the Tri-Wing screwdriver to a phillips head. Six of the screws will be in the countersink holes, so we'll need to use a thinner long screw driver that can reach these screws. Now we can pull the two halves apart and flip the assembly to reveal the underside. Here are four more screws which secure the USB-C connector. Once removed, we can see two springs and a mounting plate housing the USB-C connector. You can set the springs and screws a side for another project. We’ll need to remove this cover which reveals even more screws. These two remaining screws secure the USB-C assembly to the mounting plate. The screws are very small, so we suggest using one the PH00 bit to ensure you don't strip the screws. We'll need to reuse these screw to remount the USB connector on on printed part. Once removed, we can then pull the USB pcb out. Now we can work on mounting the components to the 3D printed dock. Before we begin, make sure to first create the threads on the mounting holes to make securing the USB connector easier. Now we can start by inserting the USB-C connector to the bottom of the printed dock. Reference the position of the USB ribbon cable to the picture of the side. We'll need the ribbon cable to face away from the standoffs on the side of the printed dock. The ribbon cable will then bend over the USB pcb towards the the standoffs on the the side of the printed dock. We’ll repurpose these screws and use them to secure the USB pcb to the bottom of the dock. Next we’ll connect the ribbon cable back onto the main PCB making sure it’s in the right orientation. 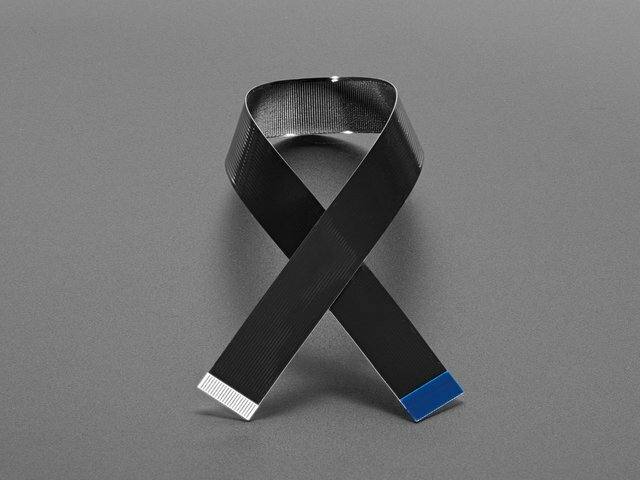 Insert the ribbon cable with the blue strip facing up and align and insert the two tabs into the sides. Close the latch and slightly pull on the ribbon cable to insure the ribbon cable is secured in place. Flip the PCB over the standoffs on the side of the dock and line up the mounting holes. Hold the PCB in place while inserting and fastening the machine screws. You can reuse the screws that came with the dock, but we used M2x5mm flat screws. Using longer M2x12 screws and insert them from the top and fasten until slightly protruding from the bottom of the dock. Make sure to pre thread the mounting holes before to adding screws into place. 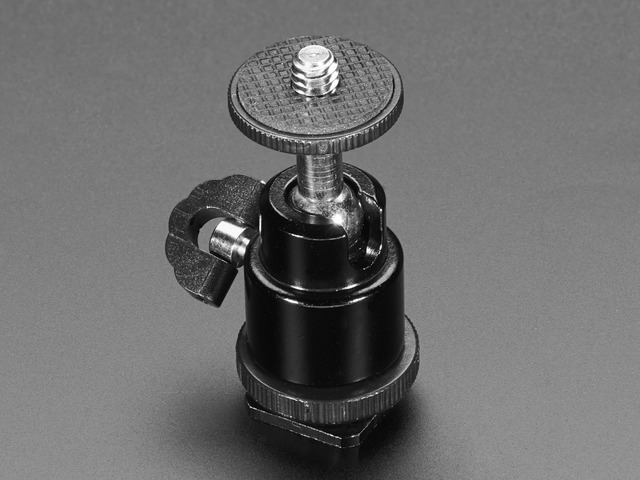 Use a tweezer to help hold the screws in place while positioning the screws over the mounting holes. Then, install the brackets perpendicular with the dock. While holding them together, fasten the screws until fully tightened. We’ll need to repeat this process for the second bracket. And that’s pretty much it for the assembly. Of course you want to double check to make sure everything is tight and go ahead test it out. Position the brackets away from the rubber feet on corners of the projector and away from the buttons on top. Bend the one side the brackets and slide both over the projector. The two brackets can then simply slide onto the PICO projector. For the HDMI connection we’re using these DIY parts that are super slim and low profile. These bare PCBs have little locking latches so it’s easy to make your own configuration. 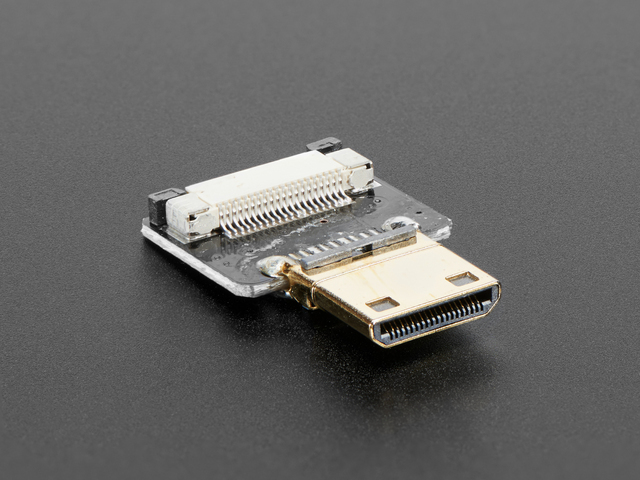 With the accompanying ribbon cable, we put together a regular HDMI to mini HDMI. These are surprisingly hardy once locked together. 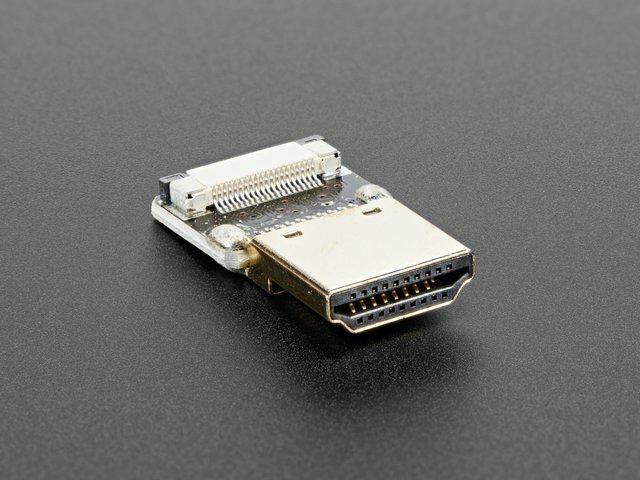 The PICO project features a mini HDMI connector so we can plug in our cable and hook up the other end to the main PCB. Any excess ribbon cable can be tucked underneath. And that’s pretty much it – Our little PICO projector isn’t the brightness on the market but it is fairly inexpensive. We’ve had it laying around for awhile and thought we’d put it to use in this project. We like to think of this as more of a prototype and proof of concept. We hope this inspires the DIY community to take a stab at making their own Mods for the Nintendo switch. We had a lot of fun during the tearing down and hope it serves as a future reference for anyone looking to do something similar! This guide was first published on Sep 06, 2017. It was last updated on Sep 06, 2017. This page (Assemble) was last updated on Apr 20, 2019.